Hi there, my darlings! 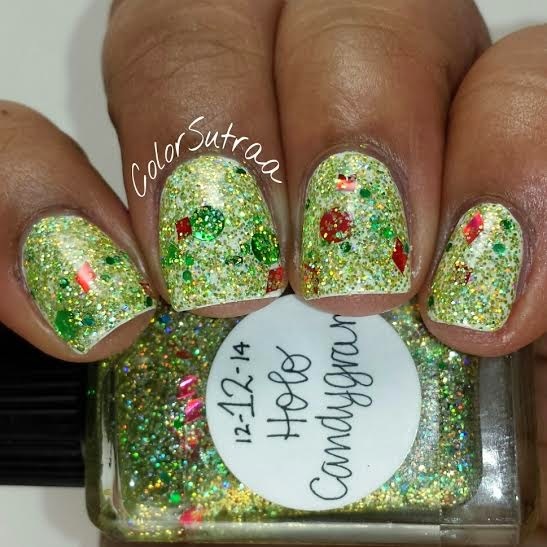 Tonight, I'd like to show you the featured Lynnderella polish of the week-- Holo Candygram is a gorgeous polish that is part of Lynn's 2014 Advent collection! Being a limited edition addition, it is procured through an Ebay auction. 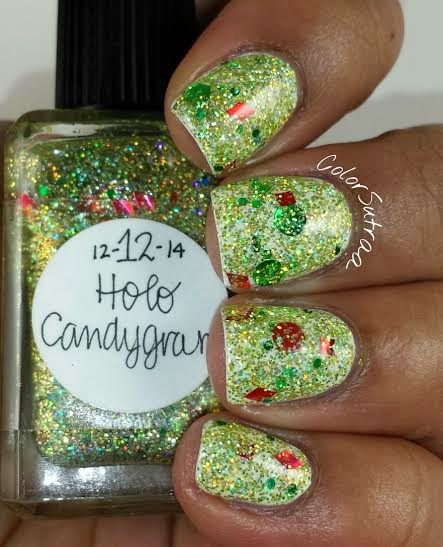 Holo Candygram is "made with green-gold holographic glitter as well as red and green accents" Fantastic formula and application--the formula is just the right consistency, thin enough to go on buttery smooth over a base color but thick enough to be opaque in 3 generous coats. Best part? 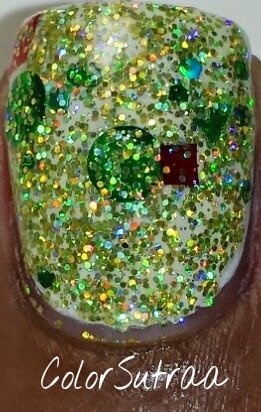 I didn't even have to fish for the glitter accents! The swatches below show 2 thin coats over 2 coats of Sinful Colors Wisp, topped with 2 thin coats of G&G's HK Girl. I can't even tell you how incredibly sparkly this beauty is! 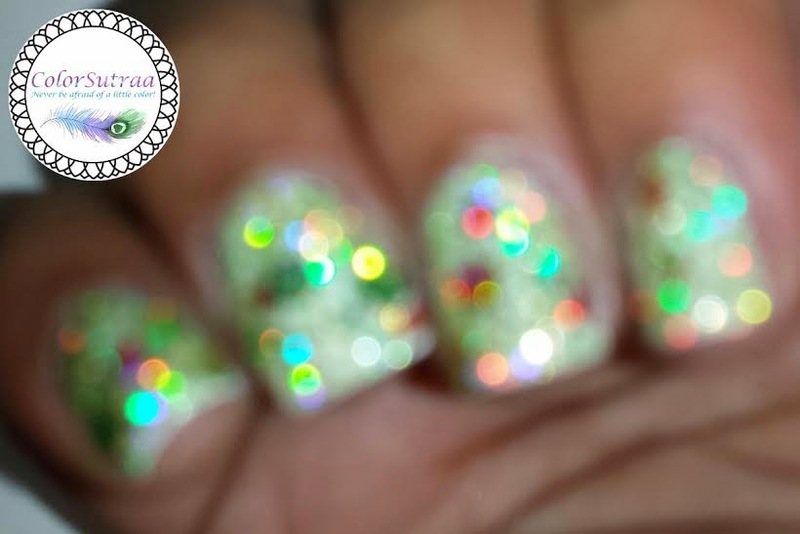 And I couldn't resist a blurry shot of the holo! What do you think of this beauty? Do you have any other Lynn advents on your wishlist? I'd love to hear which ones in the comments section below! I actually liked this one...a LOT! 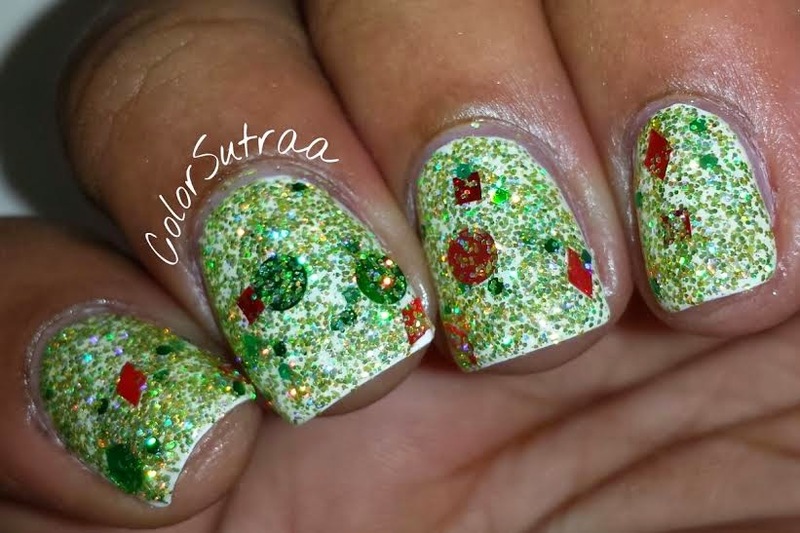 I'm a sucker for microglitters!